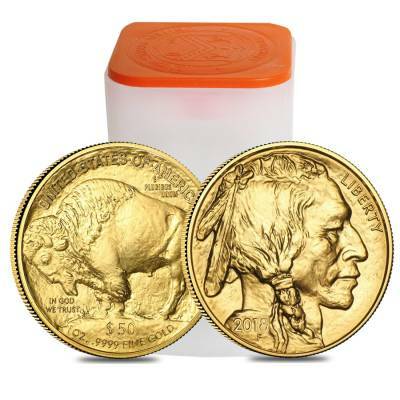 This 2018 1 oz Gold American Buffalo $50 Coin is the latest release in Gold American Buffalo series. First introduced in 2006, this series was instantly a huge success, providing competition for other gold coins on the market. The coin obverse features the iconic portrait of a Native American on its obverse and an image of the popular bison, Black Diamond, on the reverse, both originally designed by James Earle Fraser for the Indian Head Nickel of 1913-1938. Their design has been slightly modified from the original coin. 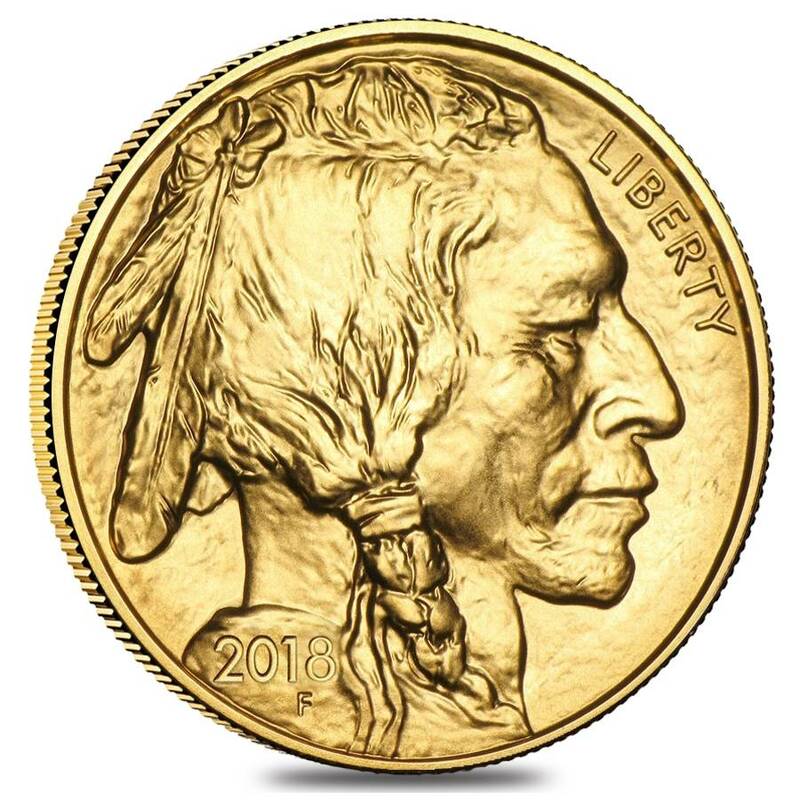 The image of Native American was created by integrating the facial features of three popular Native Americans: Big Tree, Iron Tail, and Two Moons.The coin’s reverse depicts Black Diamond was a popular American Bison in the early 1900's. This beautiful coin is popular worldwide and is highly recognizable with its well-known Buffalo Nickel design. Made from .9999 fine gold with a weight of 1 troy ounce. Struck by the US Mint. Coin face value is $50. Individual coins come in plastic flips. Lot of 20 comes in mint-issued plastic tubes. Obverse: Features the profile portrait of a Native American designed by James Earle Fraser. The motto “LIBERTY” is inscribed on the top right. The year of mintage and Fraser’s initial, “F”, is inscribed on the portrait’s shoulder. Reverse: Depicts the iconic image of the American Bison, Black Diamond. Inscriptions of the country name, content, weight, and purity as well as “IN GOD WE TRUST” and “E PLURIBUS UNUM”. Bullion Exchanges offers you a wide selection of exclusive items from renowned international refineries. Add this brilliant coin to your collection today, and it will be carefully packaged and delivered to your address. If you have any questions, just call us at 800.852.6884, or send us a message through our convenient web portal and our customer service representatives will be happy to assist you. My absolute favorite coin. Available here at a great price as well! This is a wonderful coin. I love this old buffalo nickel design and having it in 24K pure gold is awesome! There is no better gold coin guaranteed by the US Mint. Thank you guys, for the great service and prices. Love this series, very excited about this new release. I'm a pre-sale buyer. You never know what comes next with gold prices, and especially at the end of the year. Its gonna be a 2nd Buffalo in my collection. 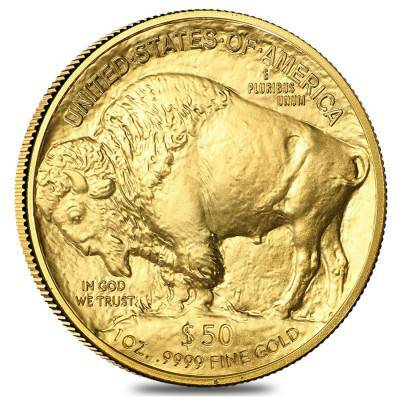 Bullion Exchanges offers FREE SHIPPING for all orders above $75! Orders are shipped using USPS, UPS, FedEx, or Armored Vehicle at our discretion. All orders that total $250 or more require Signature Confirmation upon delivery. Orders are packaged discreetly using shipping labels that do not disclose or give any indication as to the contents inside. Does Bullion Exchanges offer International Shipping? Bullion Exchanges does not offer international shipping at this point; we only ship to US addresses and US people. We intend to add international shipping options sometime in the foreseen future. If you are an international prospective buyer, please sign up for our newsletters, as we will notify our mailing list when the international option becomes available. 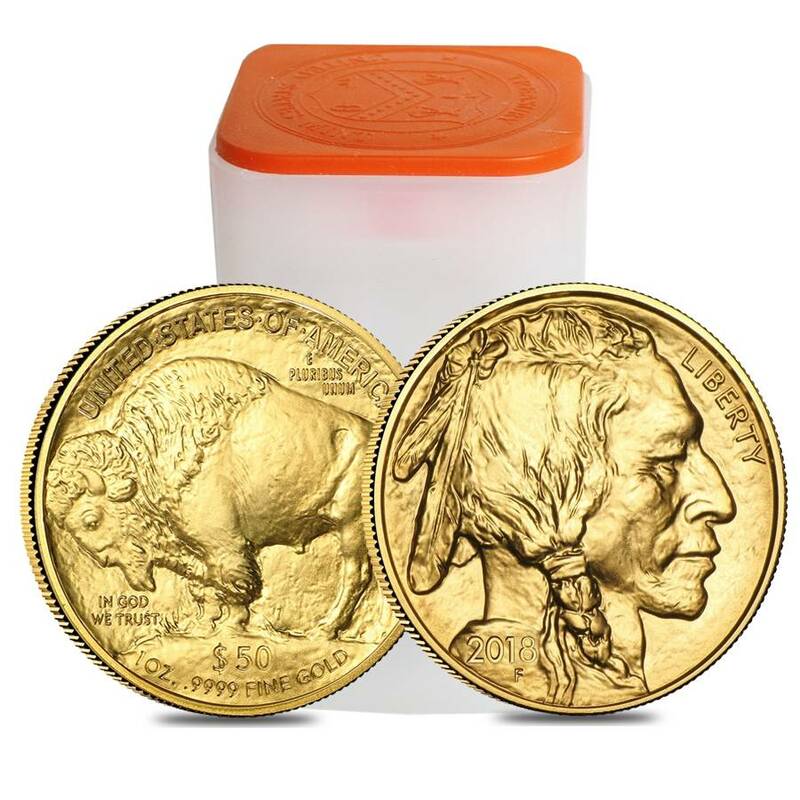 Bullion Exchanges offers FREE SHIPPING on all orders over $75. A tracking number is provided on all orders, you will receive e-mail confirmation that your order has been placed which will include the tracking number. Once logged into your Bullion Exchanges account the tracking feature can be used to see all tracking information pertaining to your order, as well as the scheduled delivery date. Please allow 24-48 hours for tracking information to be updated once your order has shipped. All of our orders are shipped directly from our headquarters in New York City. Orders will be shipped within 1-5 business days. Once shipped, orders typically arrive within 1-14 days. Please note that this is an estimation and actual times may vary. Can I change my shipping address after I have placed an order? We are unable to change any of the shipping details for credit/debit card orders. If payment is made by check or bank wire, we are able to change your address as long as the item has not yet been shipped. All orders are fully insured by our insurance policy, however orders are only covered while in-transit. Coverage is terminated upon arrival of the package (marked as delivered or notice of signature from the carrier). What if my products are damaged in transit or do not arrive at all? Bullion Exchanges will honor requests for refund or exchange, however you must contact the Exchanges Customer Service Department within 7 days of receiving the product. If you wish to exchange a product you may be required to submit photography or other documentation to process the exchange. In the unlikely event that your package is lost or damaged in transit you will receive a refund full refund or replacement product..
Due to state and federal law we are obligated to collect 8.875% in sales tax on precious metals, however there are exceptions on purchases over $1000. Please contact us prior to placing an order if you are a New York State resident and are eligible for tax exemptions.. Sorry! We're sold out right now. If you would like to be notified when we get more of this in stock, please enter the quantity you are interested in below, and we will notify you when they become available. For every $1 spend, you will earn 1 Bullionaire Buck which is equivalent to $0.001 off a future purchase. 1350 BB = $1.35. © 2019 Bullion Exchange, LLC . All Rights Reserved.